Success at the fresh counter – deli, meat, seafood, cheese and prepared foods – requires the right ingredients. The service counter sees more employee-shopper interaction than almost anywhere else in the store. METTLER TOLEDO’s service counter solutions go beyond weighing and labeling, transforming the fresh department into the hub of your store’s operations. METTLER TOLEDO’s service counter solutions empower your employees and help you deliver sustainable sales success. 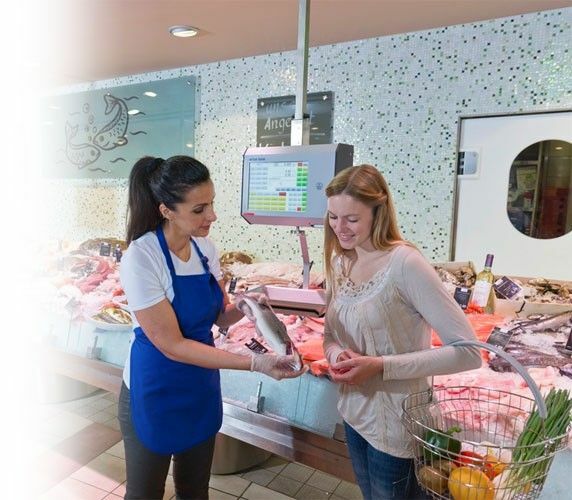 From fresh seafood and meat to deli products and cheeses, we support your service counter needs with the best possible weighing, labeling, packaging and service solutions. Success at the fresh counter – deli, meat, seafood, cheese and prepared foods – requires the right ingredients. The service counter sees more employee-shopper interaction than almost anywhere else in the store. METTLER TOLEDO’s service counter solutions go beyond weighing and labeling, transforming the fresh department into the hub of your store’s operations. Our powerful portfolio of service counter scales is quick, simple and intuitive. Easy scale operation reduces training costs, and three-digit tare weight increases your profits. Your employees can work quickly and accurately thanks to operator interfaces that are easy to use, ranging from tactile to full-color touchscreens. Customer orders are processed rapidly with features such as multiple preset keys, search-by-description options and graphical tare buttons. METTLER TOLEDO scales allow you to take advantage of the time during which your customers are waiting for their fresh order by displaying promotional messages and images via eye-catching, customer-facing displays. Influence shoppers at the point-of-decision and drive sales by communicating daily or weekly specials, meal solutions and other relevant information while reinforcing your brand. 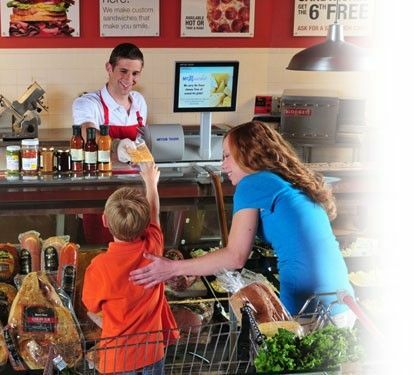 METTLER TOLEDO illustrates process models for in-store digital marketing and shares recommendations to successfully integrate cross-promotion and in-store marketing at the deli counter. Learn more about in-store advertising, cross-promotion, shopper marketing, and how to use customer facing displays on your counter scales to boost sales and enhance your brand. Retailers face many challenges – providing an outstanding shopping experience, gaining shoppers trust and loyalty, increasing requirements for food safety, protecting shoppers and the store brand, and regulatory compliance. Learn how METTLER TOLEDO creates complete weighing, pre-packing, labeling and traceability solutions and services that help enhance your business and be compliant with local food safety regulations. Weigh price label and bulk batch label printers for manual labeling stations.